Interests: Alan has his own personal Observatory in his back garden, where is next love for Astronomy comes into play. When the sky’s are right, Alan will be found up the garden with a flask of tea, and ofcourse.. The cat! 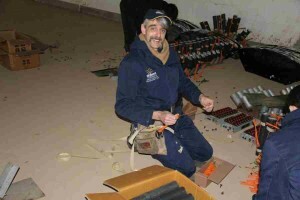 Being the youngest son of the family, Luke has grown up with a huge passion towards fireworks. having worked in many other area’s, he has found himself most at home working back at Skyburst and taking on the Marketing Role to push Skyburst forward and raise awareness in all areas of the industry. 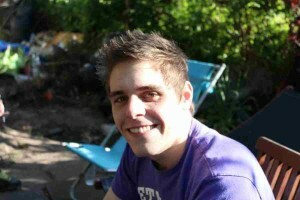 Interests: Luke has always had a huge passion for Music, covering many genres of music. Luke spends a lot of his time at Gigs, or nights out with friends. But overall loves the Music Festivals throughout the summer, and cant wait to supply the best firework displays ever seen in front of the thousands he loves spending time with at festivals. Stu has worked for the company from a young age. Joining the family in 2005, Stu has experience within every position of the company. Starting in the fusing shed, and quickly becoming a senior supervisor. Stu is now the company show designer, designing all 140 shows across November as well as all the shows in the summer season. Stu has grown to his role extremely well, with all our customers coming back every year saying ‘best ever!’. We don’t know how he does it.. Interests: Stu is another music lover in the family of Skyburst, from a young age of 16 Stu has become a master of the Decks and Digital Music Producing, which gives him one up in the designing aspect of our displays. Coming away from music, Stu is still a kid inside. Being a proud owner of a huge Lego collection, he is half way though re-creating Glastonbury Festival in his attic! Matthew joined us in 2005 as an enthusiastic trainee and has worked his way up the ranks to senior supervisor level. He is a qualified science teacher and experienced live event and television presenter. 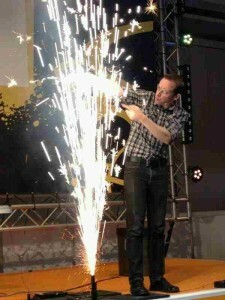 He is one of the UK’s leading and most exciting firework science presenters and can be seen up and down the country at science festivals, corporate events and in schools. Skyburst is proud to support Matthew’s education and science communication work. Matthew’s specialities include pyro-musicals, stage and close-proximity pyrotechnics. When he’s not on a firing site, stage or screen, he can often be found recording voiceovers or in cold church towers pulling on a rope.